Innovative Gutter Solutions, LLC is a Wisconsin-based distributor of seamless gutters and gutter accessories that deliver an unmatched combination of long-term durability and day-to-day performance. Founded by a veteran of the exterior remodeling industry with over 20 years of experience, Innovative Gutter Solutions is on a mission to change the gutter industry for the better. Our flagship product – Absolute Gutter™ – virtually eliminates the risk of wood and fascia rot. It is made of a single piece of custom-rolled metal and doesn’t require the installation of any unsightly corner connectors. In the event of a clog, Absolute Gutter™ is designed to “push” water over the front instead of letting it submerge the roof edge and fascia. Capable of holding 40 percent more water than standard seamless gutters and compatible with all major gutter guards, Absolute Gutter™ is the Ultimate Water Dispersing System™. Innovative Gutter Solutions offers this state-of-the-art product exclusively through authorized gutter installation contractors in Madison, Wisconsin, and other locations across the state. Designing a better seamless gutter system inspired us to create a handful of gutter accessories that address specific problems. One of those is Absolute Gutter Protection, a high-performance gutter cover made of heavy-gauge aluminum that totally eliminates the problem of gutter clogs. Absolute Gutter Protection is available in 13 colors, designed to handle the heaviest rainfalls, and installed strictly by certified professionals. 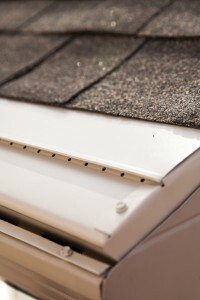 The following are also available from Innovative Gutter Solutions or one of our Wisconsin dealers: GutterLock, GutterLock Diamond, and Leafproof, three additional gutter guards; SnapLock, a highly durable gutter downspout extension hinge; TipLok, a gutter downspout clip; and Big Mouth, an oversized gutter outlet that increases water flow capacity by an incredible 500 percent. Are you a contractor in Madison, Wisconsin, or elsewhere in the state who might be interested in selling products from Innovative Gutter Solutions? If so, you can rely on us to provide extensive product training and knowledgeable guidance on how our state-of-the-art seamless gutters and gutter accessories can help you grow your business. If you are a homeowner and think that you might benefit from having any of our products installed, the team at Innovative Gutter Solutions will be pleased to put you in touch with the gutter installation contractor nearest you that is authorized to sell and install our products. We diligently screen all our installer-partners and provide them a wealth of product-specific training and customer service support. Our products are installed by experienced contractors who have been hand-selected by virtue of their technical skills and customer service abilities by Innovative Gutter Solutions. 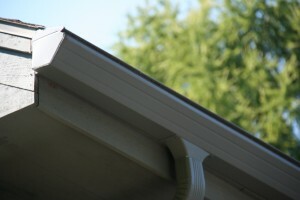 High-quality products like ours simply deserve to be installed by experienced professionals who are well-versed in all aspects of gutter installation and the unique features of our gutter accessories. Contact Innovative Gutter Solutions for additional information about Absolute Gutter™ and its many accompanying accessories, such as the Absolute Gutter Protection gutter guard, the SnapLock downspout hinge, the TipLok downspout clip, and the Big Mouth gutter outlet. Products from Innovative Gutter Solutions are available strictly from authorized dealers in Madison, WI, and other communities throughout the Badger State.